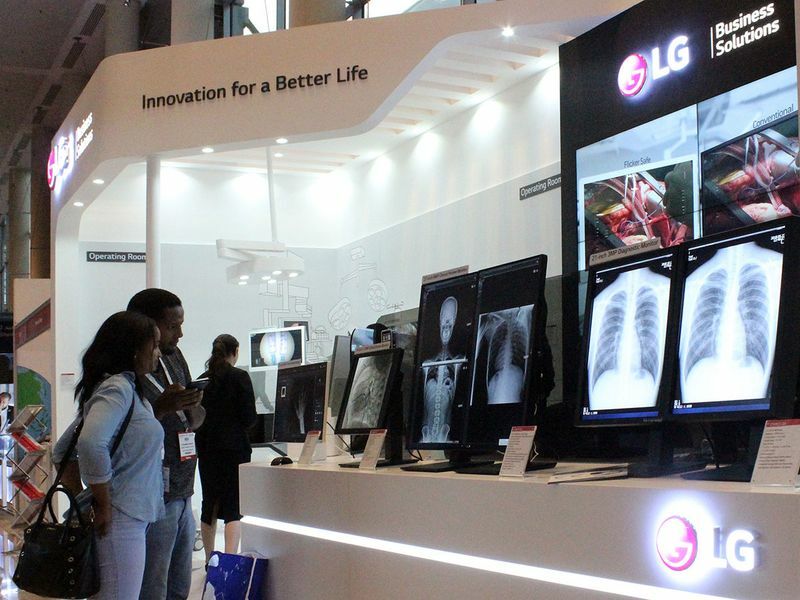 LG has launched an innovative range of medical imaging solutions for telemedicine, diagnostics and surgery at Arab Health. 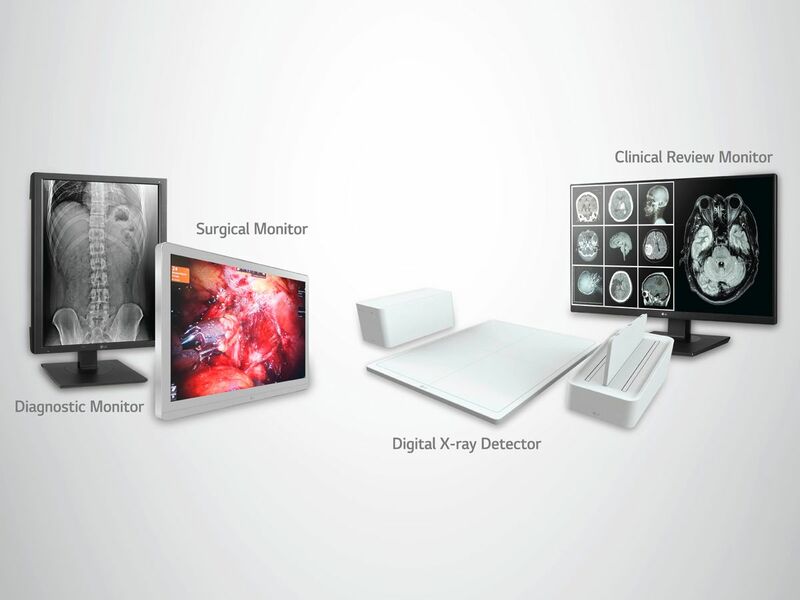 The new solutions that offer greater accuracy and ease of use include dust and waterproof Ultra HD and Full HD surgical monitors, a clinical review monitor with 5:4 aspect ratio and wide viewing capabilities, digital X-ray detector for increased efficiency and speed, and diagnostic monitor with colour calibration and display accuracy. With displays enhanced for the operating room, both the LG Ultra HD monitor (Model: 27HJ710S) and Full HD surgical monitor (Model: 27HK510S) empower medical experts to work with improved proficiency and see the finer details. More than 99 per cent sRGB colour reproduction and deep-red colour spectrum technology allow medical experts to correctly distinguish between blood and lesions, which are similar in colour. Fast reaction speeds as well as waterproof and dustproof functions ensure that LG’s latest monitors deliver accurate results in real time and work to meet the hygiene and practical demands of the operating room. LG’s clinical review monitor has a 27-inch 8MP IPS display, designed to showcase multiple imaging applications and allow various test results to be shown on the same screen. The wide-angle viewing (178-degree) enables professionals to view images from different standpoints, without compromising on clarity and with minimal colour shift. To ensure precision, the monitor also meets the standards of Digital Imaging and Communications in Medicine (DICOM) Part 14. By displaying consistent shading and illustrating colour and grey tones more accurately, the monitor can meet the demands of X-ray, MRI and CT scanning. LG’s digital X-ray detectors come in both wired (Model:17HK700G-W) and wireless (Model: 14HK701G-W) varieties and light, yet durable carbon-fibre housing to suit an array of environments and needs. Each detector provides critical information in an instant, with LG’s DXD technology creating digital files from the machines and sharing them with a PC within three seconds. By not requiring X-ray film, patients do not have to wait for long periods of time to receive their results from the recording room. This also makes recurring visits easier to track. The LG diagnostic monitor (Model: 21HK512D) has a 21.3-inch 3MP display, providing enhanced brightness and colour accuracy, as a result of its built-in calibrator checks. By fixing inaccurate colours, LG’s diagnostic monitor is able to ensure that MRI and CT scans are displayed clearly, highlighting any potential areas of concern. “At LG, we believe that technology has the power to change lives,” says James Lee, President, LG Electronics Middle East and Africa. “We have an extensive history in producing monitors and our advanced technology is recognised worldwide. We are proud to be able to service the local industry with our advanced imaging solutions. Visit booth C.B128 to experience LG’s latest medical solutions at Arab Health held at Dubai World Trade Centre (next to the entrance of Shaikh Saeed Hall 2, opposite ENBD) until January 31.